Freshmen and sophomore students are usually advised by the academic advisors of the Student Services Office. 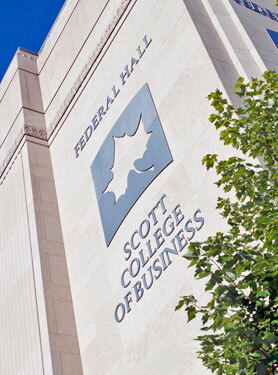 The SSO is located Federal Hall, Room FD124 of the Scott College of Business. BEIT 336 is offered online in both the Fall and Spring Semesters. Please contact the Extended Learning Center at 812-237- 2345 for more information about courses for College of Business distance students.